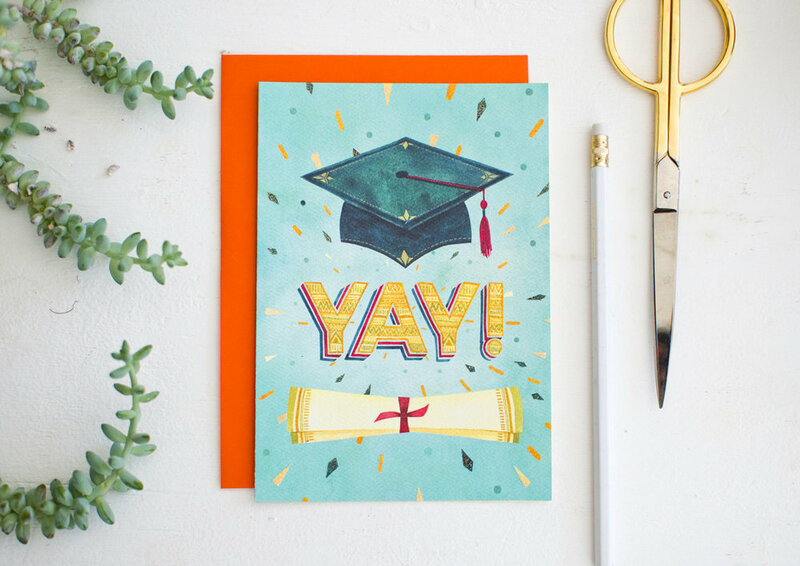 I had so much fun illustrating this Graduation celebration card for RSVP/Sellers Publishing, originally published in the Fall of 2016. The glitter treatment on the front of the card adds so much pop and fun to this super colorful and pattern filled card. "Yay!" "You did it! Congratulations!"